Supporting bioenergy is part of climate finance, but is a controversial field in renewable energy policies. The website www.germanclimatefinance.de publishes a guest post by Almuth Ernsting from Biofuelwatch which summarizes the results of a desk study on German climate finance for bioenergy. A large proportion of German climate finance supports renewable energy in developing countries and in Central and Southern Europe. Finance for low-carbon renewable energy such as wind and solar power can and must play a vital role in reducing the severity and the impacts of climate change. However, the same is not true for large-scale bioenergy – particularly bioenergy from forest wood or from trees and crops grown for this purpose. This article presents the results of a desktop study conducted in 2018 by Biofuelwatch. It summarises the general concerns about climate finance for bioenergy, highlights examples of German climate finance projects for such activities, and concludes with policy recommendations. Unlike wind, solar and tidal power, bioenergy is generated by burning a carbon-rich fuel, thus emitting CO2 to the atmosphere. Burning solid biomass for heat and/or electricity releases even more CO2 upfront per unit of energy than the fossil fuels it is meant to replace. This is due to the fact that biomass has a much higher moisture content than coal, hence some of the energy needs to be used for driving off water. Furthermore, solid fuel power station are always less efficient than gas power stations – although that this is not a justification for continuing fossil fuel use. Claims that this CO2 can be ignored because it will be sequestered by new plant growth are misleading: when forests are logged more intensively or extensively for bioenergy, it takes decades for the carbon emitted to be taken up by regrowth. Furthermore, if forest ecosystems are replaced with monoculture plantations, large amounts of carbon will be lost to the atmosphere forever. The idea that bioenergy is inherently carbon neutral has been debunked by a large volume of scientific studies about the climate impacts of wood-based bioenergy, as well as in reports and public statements by scientists, including a letter by 200 which warns about indirect land use changed caused by biofuels for transport, and a letter by over 800 scientists warning the European Union: “allowing the harvest and burning of wood under the [Renewable Energy] directive will transform large reductions otherwise achieved through solar and wind into large increases in carbon in the atmosphere by 2050”. Bioenergy from wood or dedicated crops has by far the greatest land footprint of all forms of energy – many times greater than that of wind or solar power. It therefore results in direct or indirect land-use change, causing carbon emissions and biodiversity destruction. It is an increasing driver of land-grabbing, particularly in the global South, undermining food sovereignty, human rights and land rights. Bioenergy from agricultural residues – as is practiced by many development cooperation projects – is not associated with the same negative impacts as wood and crop-based bioenergy, although overexploitation of residues can compete with existing uses and deplete soils. Reliance on residues from large-scale plantations also makes the latter more profitable and can thus incentivise plantation expansion. The research on the websites of the Development Ministry (BMZ) and the International Climate Initiative (IKI) funded by the Environment Ministry (BMU) as well as the two main implementing organizations (Gesellschaft für Internationale Zusammenarbeit – GIZ and Kreditanstalt für Wiederaufbau – KfW) showed a lack of transparency on climate finance for bioenergy. Despite a detailed word search, it has not been possible to find comprehensive data on the total amount of German climate finance that has been and is being directed towards bioenergy, nor has it been possible to identify all relevant projects. This is due to the vague descriptions of many of the projects, and the lack of comprehensive databases of funded projects, with the exception of those supported through the Ministry of Environment through the International Climate Initiative (IKI). Since 2010, at least 17 projects have aimed to increase bioenergy capacity in various countries, although three of these focus exclusively on the use of agricultural residues. For several other projects, there is insufficient public information to establish whether bioenergy has been included in wider renewable energy support. The following case studies focus on two countries where more information than the project descriptions was found. Three interconnected projects were funded in Serbia between 2010 and 2017, aimed at developing a biomass and biogas sector (see overview of the projects reviewed). The main focus of these projects has been to provide support to ministers and authorities in Serbia for converting district heating plants to bioenergy and helping to achieve the government’s aim of scaling up bioenergy to 13% of primary energy demand. For this, BMZ made €18 million available as preferential loans and €10 million as grants which GIZ and KfW implement as technical and financial cooperation, respectively. GIZ is implementing one of the three projects on behalf of BMZ. In this context, GIZ provides advice on regulatory reforms to support such developments, and advice and support for the development of biomass supply chains. So far, at least 13 district heating networks have signed cooperation agreements and are planning to convert to biomass and biogas. According to GIZ, all of the biomass is sourced from forestry or wood processing residues, as well as wood cut down along roadsides and in parks. GIZ has advised us that its project partner Srbijašume, which is the Serbian state forest enterprise, and that this assures sustainability because Srbijašume has a legal duty to monitor private forest owners’ practices. furthermore, it is FSC-certified. GIZ further states that there have been assessments into the availability of “sustainable biomass” as well as air quality impacts of the programme. The biomass availability assessments for different biomass district heating schemes are publicly available, although an air quality study does not appear to be in the public domain. A close look at a “woodchip supply study” co-published by GIZ, shows that this does not in fact assess the sustainability of sourcing, but merely the local availability of wood. There is no mention of logging methods or intensity, biodiversity impacts, or a comparison between logging volumes and annual regrowth. 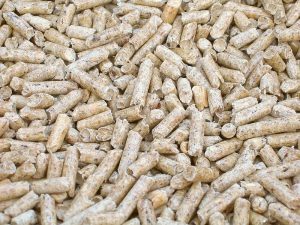 The following analysis relates to general rather than project-specific bioenergy use in Serbia, but it raises serious questions about the impacts that the creation of an even larger demand for wood-based bioenergy in the country will have on forests. Climate impacts: Even burning genuine forest residues for energy has been shown to have significantly adverse effects on the climate. No assessment of the impacts that a new demand for wood for bioenergy would have on forests in Serbia: In 2017, GIZ published a market analysis’ study on the availability and production of biomass. However, this did not include any assessment of impacts on forests and biodiversity. The same is true for subsequent assessments. The 2017 country-wide study noted several concerning facts. For example, a proportion of woodchips and briquettes in Serbia are sourced from National Parks. Also, demand for fuelwood is constantly growing, and statistical data for fuel wood use and production is highly unreliable. And finally, pellets are being produced from roundwood as well as residues. Lack of reliable forestry data in Serbia: The most recent national forest inventory was carried out between 2004 and 2006. Work on a new assessment is starting this year, but will take several years to complete. This means that forestry data is very much out of date. Persistent problems with illegal logging: Although GIZ states that their partners, Srbijašume, are obliged to monitor the activities of private forest owners, a 2017 report co-published by GIZ states: “Illegal logging has existed in Serbia for centuries…Forest crimes are often underestimated in the legal system…Additionally, punishments for illegal activities in the forestry sector are very lenient and very often recorded cases are dismissed when brought to court.” Furthermore, according to the report, internal Directorate of Forests data shows illegal logging rates are 5.5 times higher than what is reported in official statistics. Problems with illegal logging, forest law enforcement and a lack of due-diligence systems were acknowledged by the Serbian Ministry of Agriculture and Environmental Protection in 2015. As the scientific evidence shows, wood-based bioenergy is not low-carbon simply because wood is sourced through “sustainable forest management”. However, in a country where no national forest inventory has been carried out for 12 years, where illegal logging remains persistent and where forestry statistics and data are frequently inadequate and contradictory, claims that GIZ and their partners can ensure sustainable sourcing seem highly questionable. Similarly, the air pollution study that GIZ says shows improvements in air quality due to a fuel switch to biomass is not publicly available, and there are good reasons to question this claim too. Burning biomass results in similar levels of air pollution as burning coal, although less of some and more of other pollutants are released. Any possible improvements in air quality are thus likely to be due to improved combustion technologies, rather than fuel switching. An important question is why the German government has chosen to fund the development of biomass heating rather than solar energy in Serbia. According to a Euractiv Serbia article from April 2018, “Serbia has nearly insignificant amounts of solar energy, even though it has great potential and despite the fact that the technology is developing at a fast pace.” Climate finance is limited funding which ought to support measures that are most effective at reducing greenhouse gas emissions. Serbia has a high potential for solar power but virtually no investment, so kickstarting solar power in Serbia could clearly provide significant benefits. However, support for bioenergy in Serbia is far more likely to result in negative impacts on forests, the climate and air quality. Four projects with strong bioenergy elements were funded by IKI in Vietnam between 2010 and 2018, and one is currently funded by BMZ (see overview of the projects reviewed). A review of these projects reveals several flaws and concerns regarding the portfolio on bioenergy and biofuels in Vietnam. Two of the projects supported by IKI have involved trialling the use of contaminated former opencast mines for growing energy crops to produce biogas, ethanol and biomass. They have received around €1.5 million. The mine reclamation project has not so far led to any commercial projects. The pilot project which involves testing energy crops on three mining sites ends in 2018 and the final report is still outstanding. Land reclamation of former mines with energy crops has been demonstrated elsewhere, including in the US and the UK. However, we can find no evidence of it having become adopted commercially anywhere in the world. Unless mining companies are compelled to carry out the cost of land reclamation, including topsoil replacement, discussions about using such former mines for any form of agriculture tend to remain academic. One IKI project involved around €3 million in funding for helping to develop capacities for electricity generation (including cogeneration of electricity and heat) from biomass, biogas and mixed waste. This aim and work has now been subsumed into a BMZ-funded GIZ project which focuses on biomass as well as solar power and energy efficiency. We could not find details of the amount of funding made available by BMZ. According to GIZ, German climate finance for renewable energy developments in Vietnam has led to the government committing itself to a significant expansion of power generation from biomass. At present, Vietnam’s biomass power plants are all small-scale and rely on agricultural residues. 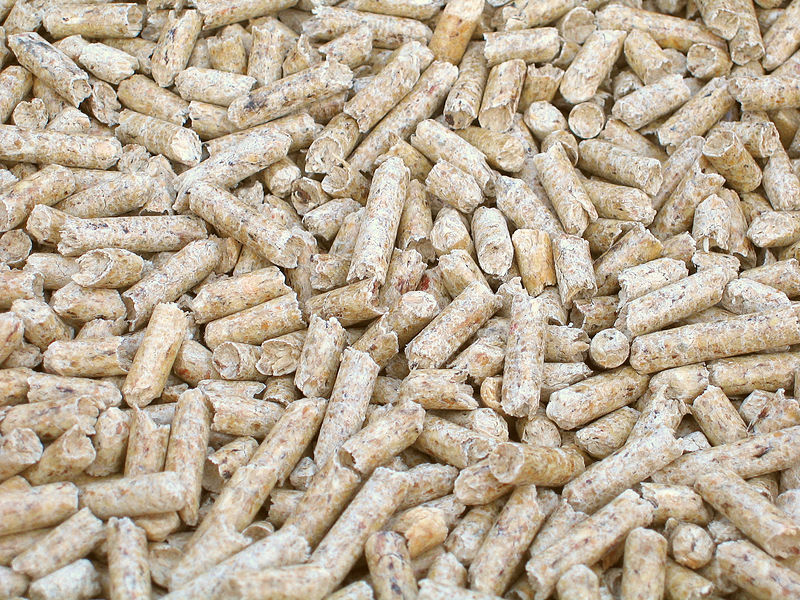 However, Vietnam has become one of the largest wood pellet exporters in Asia. In this context, it is concerning that the risks of new biomass plants also turning to wood and increasing pressure on Vietnam’s forests and farmland (through plantation conversion) have not been considered. Finally, an IKI project helped to develop indicators for what the Global Bioenergy Partnership (set up by the UN Food and Agriculture Organisation) classifies as ‘sustainable bioenergy’. 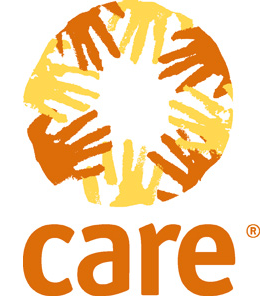 €1.46 million was made available for this work in Paraguay and Vietnam together. This project raises serious questions about how the German Government is promoting the use of food crops for biofuels in Vietnam, at a time when the European Union has committed to stopping and reversing the expansion of biofuels made from such crops. Ethanol from cassava is one of the two pathways considered in this project (the other being rural use of biogas). The project report shows that “sustainability indicators” that were considered focussed entirely on cassava cultivation methods and yields, efficiency and fuel use in ethanol refining, and transport distances and emissions. Indirect land use change – the main reason why the EU has capped and committed to phasing out food-based biofuel – has been entirely ignored. The report highlights how most of the cassava grown in Vietnam is exported, but this does not change the fact that diverting food to ethanol production will lead either to an expansion of agriculture elsewhere (quite possibly at the expense of biodiverse and carbon rich ecosystems), or to higher food prices. A proportion of German climate finance for renewable energy is promoting the expansion of bioenergy from wood or dedicated crops. While this research by no means represents a full picture of German climate finance in the bioenergy sector, it shows some areas of concern. The first is that there is a lack of transparency on the amount of funding Germany is actually providing for bioenergy. It is not possible to clearly identify how much funding goes into it, also compared to other renewable energy sources like wind or solar power. A second concern is that Germany is supporting the large scale expansion of bioenergy in countries like Serbia and Vietnam, despite clear scientific evidence that the impacts on the climate will generally be no better than those of fossil fuels over the next few decades. This is exactly when CO2 emissions must be rapidly reduced if there is to be any hope of avoiding the most catastrophic impacts of climate change. Bioenergy funding thus competes directly with funding for genuinely low-carbon forms of renewable energy, such as sensibly sited wind and solar power. Climate finance is desperately needed to help mitigate and adapt to the impacts of climate change. But it must also ensure that natural environments and ecosystems are not harmed in the process. Diverting land from food production or other important uses by communities to grow crops and trees for energy should never attract climate finance either. In order to prevent such consequences, climate finance should explicitly exclude large-scale bioenergy generation from eligibility for it.